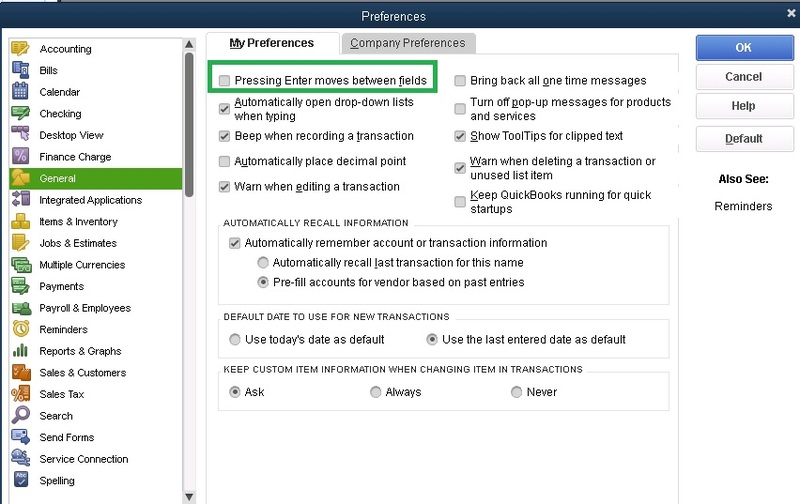 Question: Is there somewhere on my settings that I can select the enter key in QuickBooks to move on just using my keypad. I have to use my mouse and click on save or close? Answer: Yes, while working in your QB file, from the top menu bar click Edit>Preferences>General tab>My Preferences and checking the box for Pressing Enter moves between fields.